Recently we’ve seen Google Home expand its abilities significantly. More than 30 new actions with 3rd party providers and updated hardware functionality with Sony devices are encouraging, to say the least. A slew of new actions were recently added, giving Google Home the ability to interact with over 30 new services with only your voice. Many of them are little-known entities, but there are also larger sites like WebMD, Dominos, and NBC News. One that I’m having fun with is Genius. If you’ve never used it, Genius is a crowd-sourced lyrics site that allows fans to leave commentary on lyrics from your favorite artists. Want to know what the heck The Weeknd is talking about in Starboy? Genius will give you more info than you probably even want. For Google Home, Genius actually helps you figure out songs from small bits of verses or hooks. It has been pretty good and its just a fun service to play with. You can view all the new services and their possible actions in the Home app under More Settings > Services. And you don’t need a Google Home to see what is being added, so if you are thinking about getting one, you can keep your eye on this list and wait for your killer service to show up. 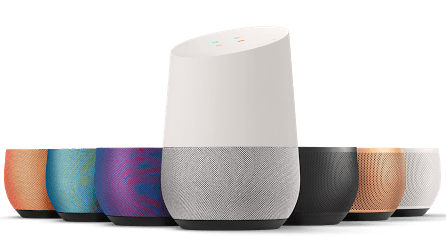 Additionally, Sony and Google teamed up to allow control of all sorts of Sony Electronics by Google Home. First up, Android-TV-equipped televisions from Sony can now be commanded via your voice. A simple command like, “OK Google, play The Office from Netflix on the TV” will now cause your Sony Television to begin playback. Obviously, this works with YouTube and other video services that are on offer currently. As more are added, those will work in a similar manner. Second, Sony speakers with Chromcast built it will now work and behave as you would expect them to. Before, renaming my Sony speaker required the use of Sony’s SongPal app. Other than that, the speaker was working as expected for me, but I also got an immediate software update when I opened up my h.ear go speaker. Perhaps that was a preemptive update that got most things working. Now, however, my speaker behaves just like a Chromecast Audio device. Renaming, grouping and playback all behave like you would expect. Even though many of the new services and the addition of Sony hardware may not be the biggest news to come across your screen this week, these additions are still substantial and important. When Google Home shipped out last month, it was pretty limited. And, in many respects, it still is. However, if waves of additional features continue to roll in at this rate, that will change rapidly. Sure, you may not own a Sony TV or speaker, but Sony is a huge manufacturer. Their willingness to play ball is significant. It shows that Google Home is already beginning to gain some traction. Likewise, you may not use the new services that were just added to Google Home, and that is fine. But all this is eerily similar to the app wars just a few years ago. I remember reading a few times per week about what apps were being added to Android. It was a big deal as the app ecosystem was growing. Knowing what was new, what was coming and what was available was important. And, if you remember, the best part was that the apps came in waves. Sure, everything in the wave wasn’t the best, but it always seemed there was something useful to keep. I think the same will be true of services added to both Google Assistant/Google Home. Services showing up in droves is a good thing, regardless of whether or not every single new service seems useful to you. It means devs are getting on board. And the more devs that get on board, the more useful Google Home becomes. The more useful it becomes, the more units Google will sell. The more they sell, the more attractive it becomes to developers.